The British Gazette » Austria: The end of the beginning? 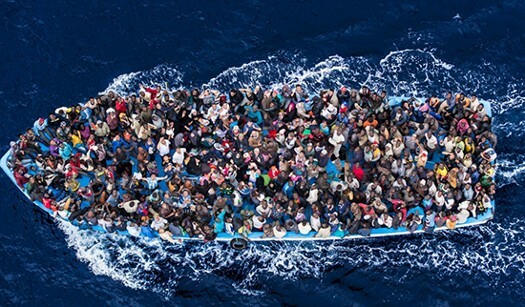 Above, migrants in the Mediterranean. An image of Europe’s migrant crisis. One consequence? Austria’s recent election. In it we suggested that the politicians who rule Europe should regard mass migration as a problem because it produces INSTABILITY. We also stated that it was likely to produce increased support for politicians and political parties opposed to their policies. This has been most dramatically demonstrated recently in Austria.